We hope we’ve already convinced you there’s much more to xeriscaping than cactus and succulents. But that doesn’t mean you can’t use these spectacular species to your advantage. Cactus plants, many native to the Southwest and nearby Mexico, come in fantastic forms and textures. Soaring spires; broad, flat paddles; low squat-cylinders-they’re all actually the plump, fleshy stems of desert species, designed to store precious winter rainwater against the onslaught of summer heat and drought. 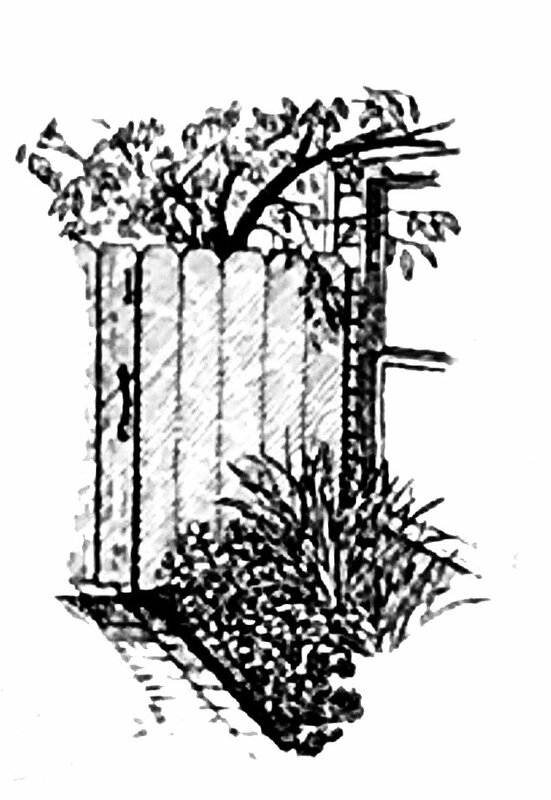 Why not use thee unique adaptations to create dramatic or whimsical emphasis in your own landscape? Think of them as garden sculptures. In succulents, it’s the fat, waxy leaves that act as water reservoirs, and they come in a wide palette of colors, Between native and South African species, you’ll find foliage ranging from green to rust, from bluish gray to almost black. Flowers run the gamut, too, from subtle pastels to blinding neon’s. In a well-planned garden, succulents almost always make a statement, whether massed in a colorful, living carpet or standing alone as great, spiky accents. 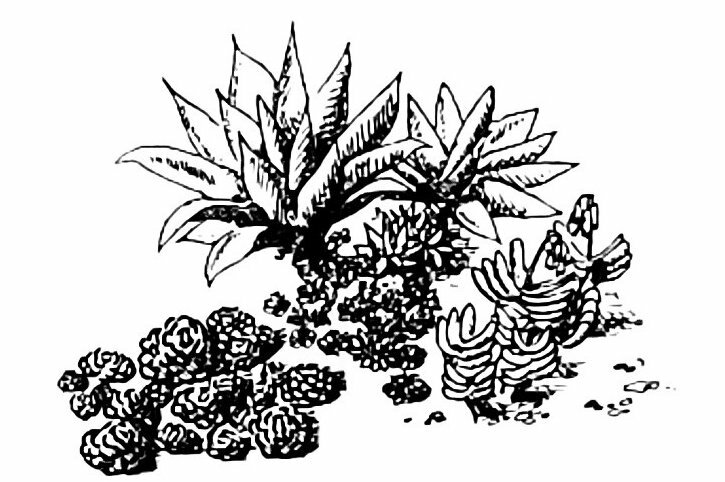 A couple of growing tips: By nature, cactus and succulents prefer open spacing; so be sure to leave the big ones plenty of breathing room. And remember they require very little water; they’ll feel most at home in your gardens driest irrigation zone. 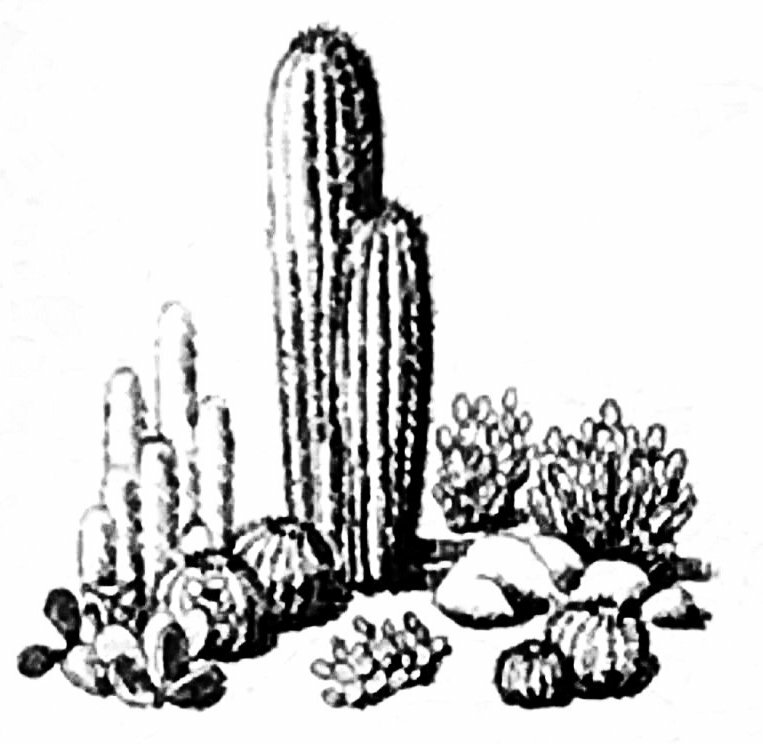 Cactus plants, many native to the southwest nearby Mexico, come in a variety of fantastic forms and textures. In a well-planned garden, succulents almost always make a statement. They’ll do best in dry, shady spots. Given sand soil and good drainage, both cactus and succulents are perfectly suited as potter plants.